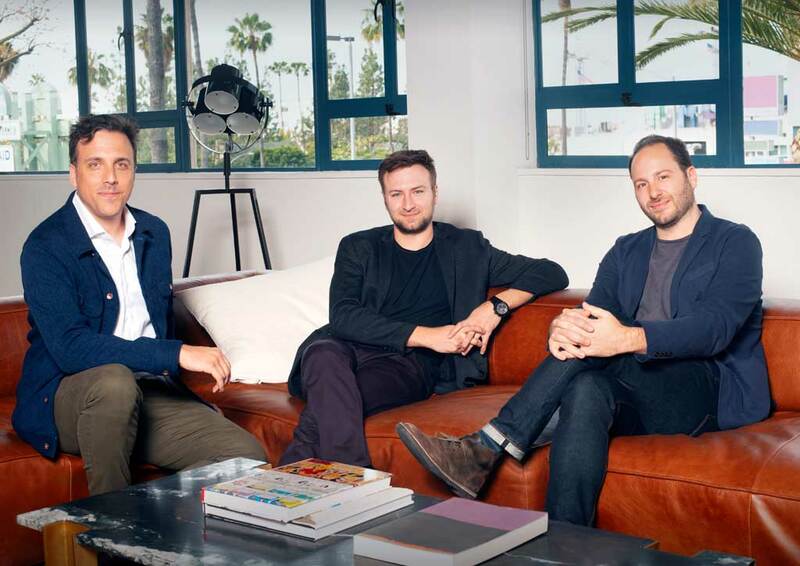 Disney+ has inked a two-year deal with David Gelb (“Chef’s Table,” “Jiro Dreams of Sushi”), Brian McGinn (“Chef’s Table,” “Amanda Knox”) and Jason Sterman (“13th,” “Five Came Back”) of Supper Club. Under the exclusive pact, the trio will create premium franchise-based and original-concept nonfiction programming for the streaming service as well as other platforms and networks within The Walt Disney Company. Specializing in the development and production of original scripted and documentary content, Supper Club is dedicated to elevated storytelling across all platforms and formats. In the last three years, the Supper Club founders have garnered nine Emmy® nominations and two wins, including for Outstanding Documentary or Nonfiction Special. The company’s first original series for Disney+ will be the culture-focused “Marvel’s 616” (working title), created in collaboration with Marvel New Media, the digital, short-form and nonfiction content studio within Marvel Entertainment, and the wildlife conservation-themed “Earthkeepers” (working title). “Marvel’s 616” (working title) is an anthological documentary series exploring the intersection between Marvel’s rich legacy of stories, characters and creators and the world outside your window. Told through the lens of a diverse group of filmmakers, each documentary will dive into the rich historical, cultural and societal context that has become inseparable from stories of the Marvel Universe. The series is produced by Marvel New Media in partnership with Supper Club. Executive Produced by Joe Quesada, Stephen Wacker, Shane Rahmani, John Cerilli, Harry Go and Sarah Amos for Marvel and David Gelb, Brian McGinn and Jason Sterman for Supper Club. From the award-winning creators of “Chef’s Table” and the producers of “One Lucky Elephant,” “Earthkeepers” (working title) is a cinematic documentary series that centers on the adventurous lives of the people changing the way we see the animal kingdom. The episodes focus on conservationists and the animals they’ve devoted their career to studying, diving deep into the personal trials and professional breakthroughs of protecting the planet’s most endangered species. The series is executive produced by Brian McGinn, Jason Sterman, and David Gelb for Supper Club and Cristina Colissimo and Jordana Glick-Franzheim for Wellworth Pictures. The Supper Club projects are a few from the robust slate of nonfiction programming being created for the highly anticipated streaming service, set to launch in the US in late 2019. The wide range of content, from some of the best documentary and nonfiction storytellers, will allow viewers to find the ethos of Disney in everyday stories, inspiring hope and sparking the curiosity of audiences of all ages.